Learn to wield a sword like a samurai during this unique Tokyo experience. Under the eyes of professional instructors, including a sword-fighting expert who has acted in movies and choreographed fight sequences for Hollywood films, you'll learn about the history of samurais in Japan and practice the proper way to hold and swing the sword. Watch your instructors perform an astounding adrenaline-fueled fight scene, and choreograph a routine of your own. This small-group samurai lesson is limited to five people to ensure you enjoy personalized attention. Meet your expert instructor, Tetsuro Shimaguchi, and his team at the Tokyo Tower before heading to the dojo (samurai training center). One of the most respected action coordinators in the Japanese film industry, Shimaguchi has trained Hollywood actors and choreographed fight scenes for movies such as Quentin Tarantino's Kill Bill: Volume 1. Start your class with a brief history of the samurai and the art of sword fighting, and then watch your instructor demonstrate how to handle the katana, the traditional Japanese samurai sword, which features a curved, slender, single-edged blade with a long grip. Using wooden swords provided in class, learn the correct way to pose, draw and strike. Once you have practiced different moves and techniques, your instruction team puts on an action-packed fight scene with eye-popping moves. You'll realize quickly how much training and mutual trust are required in order to perform high-octane scenes like this. After admiring the professionals in action, put your new skills to the test by working with a fellow student to choreograph your own sword-fight sequence. For the grand finale, perform your scene for the class. 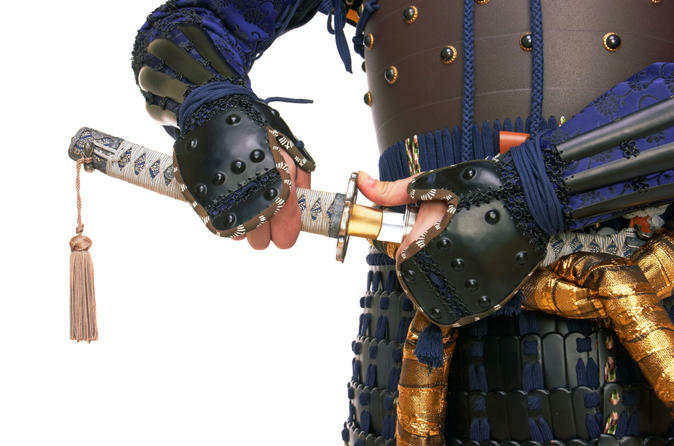 By the end of the 1.5-hour session, you’ll have a foundation of samurai sword techniques and understand the importance of the samurai in Japanese history. Plus, you'll get a fun and fascinating workout and have a great story to take home — that time you studied with a Japanese sword master, just like Hollywood stars.